The invasion of the Spaniards in 1532 was one of the first incisive clashes between Western and non-Western civilisations. Indeed, the Spanish conquest (i.e. the end of the Inca Empire) and colonialism left a strong imprint on Peru through the centuries, to this very day. Peru, much like its geography, became a divided land in terms of economics, politics, and society: a “white” and “modern” culture on the one hand and an “Indian” and “backward” one on the other. The persistence of this “dualism”, compounded in more recent times by the sheer complexities of running Peru (regardless who has been at the helm of the government) has hindered the development as well as the effective integration of the Peruvian nation up to the present. Immediately after the establishment of the Spanish rule, i.e. in the first two or three decades after the conquest, a new race emerged, the “mestizos,” product of the mixture between Spanish (white) men and Indian women. With the arrival of a significant number of white females from Spain (noble young women as well as prostitutes), there was no need for Spanish men to mate with indigenous women any longer, and the process of “mestization” came to a halt. Since then, Peruvian mating behaviour follows, with few exceptions, quite a rigid pattern, i.e. members of a race marry and reproduce within their own ethnic-social stratum. Peru is an environmental masterpiece of diversity, including three major geographical zones: arid coastal deserts with farming oasis and quaint fishing villages, the Andean “sierra,” and the Amazon basin.
. Since pre-Columbian times Peruvians have been divided by nature. From the arid deserts of the coast, the Andean “sierra” rises up to almost 7,000 metres. The highlands comprise about a quarter of Peru’s territory, but are home of over 40% of Peru’s population. This mountain mass poses one of the major problems for development and integration into a single society. The result is a dramatic regional diversity, and considerable inequalities in living standards between the different social strata. Access to health facilities, education, employment opportunities and law enforcement is unevenly distributed across Peru. With the arrival of conquering migrants from the Old World, new mixed races were born. The initial importance of these offspring of whites and Africans with native American mothers was minimal, however, because of the “great dying” of the indigenous population instigated by European diseases and the subsequent collapse and demoralization of the native society and economy, the consequences were dramatic. The continuous impact of repressive colonial regimes did not permit any resurgence of native vitality or organization, although there were a number of rebellions and revolts. Under these conditions, Peru reached its nadir in 1796, near the end of the colonial period, when fewer than 1.1 million inhabitants were censured. This figure marked a fall from an estimated pre-Columbian total of at least 16 million, although some scholars think the figure may be twice that number, and others less. Peru recovered slowly, only slightly exceeding its minimally estimated pre-conquest population size in 1981. There were six basic castes in Colonial Peru: Spaniards, native Americans, Mestizos, Negroes, Mulattos, and Zambos. In theory, these categories defined a person’s place of residence and occupation, taxes, obligations to the viceroyalty under the mita, which churches and masses could be attended, and which parts of the towns could be entered. Sumptuary laws determined the nature of one’s clothing as well, and prohibited natives in particular from riding horses, using buttons, having weapons, and even owning mirrors and playing stringed instruments. Such a system was hard, if not impossible, to keep on track, and its rules and powers were irregularly applied. Nevertheless, vestiges of the colonial social caste system and its associated behavior and attitudes linger in present-day Peruvian society in many ways. Subsequently, from the 18th century onwards, Peruvian society has been composed of three main ethnic-social groups or classes: 1. the white (mainly of Spanish extraction, i.e. the “criollos”), 2. the “mestizos” and 3. the indigenous (i.e. “los indios”). A forth group (not so important in numeric terms) consist in Peruvians of African and Asian origin. On the top of the ladder, there exist the Caucasian race of Spanish and other European/Anglo Saxon extractions (Germany, United Kingdom, Switzerland, Italy, former undivided Yugoslavia, etc. ), representing approx. 15% of the poipulation. Applying strict semantic criteria, only people of Spanish extraction are to be called “Creoles” (“criollos”). One can say that this ethnic-social group represents the “elite” of Peru, its traditional oligarchy, its upper class and part of the upper middle class. The picture on the right hand side mirrors a typical representative of this social class, Ms. Gladys Zender, “Miss Peru” and “Miss Universe” in 1957. As mentioned above, in racial terms, the second group are the “mestizos,” the result of the mixture between the white European and the “bronze” indigenous races, representing approx. 45% of the population. It is important to make clear that the mating process between the two races is not an ongoing one, but took place in the early years after the conquest (most likely in many cases against the will of the female, i.e. indigenous part). The liaison between a white foreigner (development co-operation volunteer or PhD candidate in social anthropology [mostly male], just to mention the most popular example, and a lovely “indigenous” woman is a popular theme of films/movies and novels, although in reality these days an extremely rare phenomenon. The best-known example of a liaison between “indian” and “white” (“the other way round”) is the union between former Peruvian President Alejandro Toledo (*1946 – in office 2001-2006), in ethnic terms an “Indian,” and his wife Eliane Karp, a white woman from Belgium. But being a Stanford graduate and therefore no longer an “indigenous” and no “mestizo” by choice, Toledo is situated somehow outside the socio-ethnic class system. The “mestizos” are the most heterogeneous group in the social stratification system of Peru. Those who consider themselves as part of the “elite” (but lack a “clean” [i.e. white] genealogical record) may label themselves as “trigeños”, and in economic terms, they might have reached the level of oligarchs or upper middle class ranks. But the majority of the “mestizos” occupy a social position around middle class and working class levels (urban and rural, i.e. white- and blue-collar jobs in the cities and towns as well as small or middle-size farming in the countryside). The level of education in the “mestizo” world can range from an American or European university degree down to “functional illiteracy,” and it is the “mestizo” class in particular who is overcrowding public colleges and state-run universities, while the upper class and part of the “trigeños” prefer expensive private universities or having their children sent abroad. “Mestizos” would hardly name themselves “mestizos” – they consider themselves as the “real Peruvians,” or “criollos”, even though this stands in opposition to the etymological root of the word, which suggests that only Peruvian born descendants of white Spanish ancestors are “criollos.” “Mestizos” are also using the term “criollo” in particular to draw the line between them and the social class below them, the “indios” or “cholos,” with whom they do not want to be associated under all circumstances. The Indians (“indios” or “indigenas” or “nativos”) would not call themselves “indios,” but rather “gente del pueblo” (people from the village) or “gente del campo” (people from the farmland), or even “latinos/ladinos.” “Indios” live in their traditional habitats in the Andean regions or in the Amazon basin (“selva”), speaking their proper languages. The Andes have two large ethno-liguistic groups: the larger of the two speaks Quechua; the smaller group speaks Aymara and is settled around Lake Titicaca and also in neighbouring Bolivia. Beyond these global distinctions, other complexities arise – in the Amazon jungle, there are at least 53 ethno-linguistic groups, although only around five percent of Peru’s population live in the “selva” (the tropical region east of the Andes in the jungle). Rural indigenous communities, in particular the younger generations, now also aspire to ownership of televisions, mobile/cell phones, computers, smartphones, and blue jeans – but this comes into conflict with their traditional cultural values. Nevertheless, the people of the Andes are trying to maintain their historically grown set of social organisation and their traditional practices of their ancestors in a rapidly changing world. Their livelihood continues to be based on family-owned fields (“chakras”), which are farmed by hand or with the assistance of draft animals. The social organisation of communities in the Andes differs greatly from that of Europeanised “creole” culture. Work, marriage and land-ownership are centred around a complex extended family organisation called the “ayllu” in Quechua, which dates back to at least Inca times. One of the main functions of “ayllus” is to organise reciprocal work exchange. But one can say that “the revolution of the rising expectations” or the “values of the consumer society” is the most prevailing “social force” in the Peruvian society today. 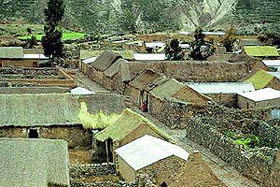 Since the 1970s, more and more native people find themselves semi-urbanised and semi-“modernised.” No longer dressed traditionally but “western style” and having reasonable skills of the Spanish language, finding themselves either in urban settlements next to their traditional habitat, such as the city of Puno in the Lake Titicaca region, in the shantytowns (“barriadas” or “pueblos jovenes”) of the big cities – Lima in particular -, or in “frontier” settlements on the Coast or in the “Montaña” (the region bridging between the Andes and the Amazon Basin). This process of “modernisation” is also a result of the massive expansion of primary and secondary educational facilities, launched by the Military Government led by General Juan Velasco Alvarado in the late 1960s and later continued by the Fujimori Administration in the 1990s. While up to the 1950s, it was common that indigenous villages in the Andes had no school, it would now be quite a difficult undertaking to find a significant number of such communities without at least a basic educational infrastructure. To label acculturated “indians,” Peruvian society suggests the term “cholo,” and the process of acculturation (i.e. “westernisation”) is named “cholificación.” Apart from its presumed sociological connotation, “cholo” has a twofold meaning: it can be a tenderly nickname (often used in the diminutive, i.e. “cholito” or “cholita”) or an insult (“este cholo”). When Hugo Sotil (of indigenous extraction), one of the great Peruvian soccer players of the “Teófilo Cubillas generation” (i.e. in the 1970s) made it to the FC Barcelona in Spain, his fans called him gracefully “el cholo Sotil,” but when his political opponents wanted to insult President Alejandro Toledo (*1946 / in office 2001-06), they would preferably (but not in the public) use the term “este cholo”. Internal demographic changes since the middle of the twentieth century have shaped contemporary Peru. For example, the total population grew almost threefold from over 7 million in 1950 to nearly 20 million in 1985, despite slowing down in the 1970s. In 2014, almost 80 percent of Peru’s population lives in towns and cities, above all in the capital, Lima. The population of Peru amounts to approximately 30 million (2014). 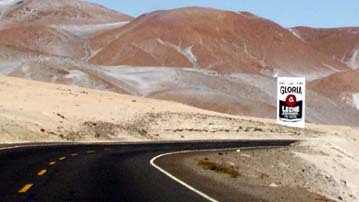 Parallel to the growth of the population, internal population movements are contributing to an “unbalanced” development drive: rural areas undergo a process of depopulation, while large towns, and in particular big cities like Arequipa, Trujillo, Chiclayo, and above all Lima registered and are still registering impressive migration gains. Places which used to be predominantly “white” or “mestizo” are facing the challenge of new “majority populations” of indigenous extraction with its repercussions on the educational system, labour market (unemployment) and health care/social security schemes. No other country in Latin America shows such a high degree of “centralisation” (especially in economic terms) as Peru. Things have not changed significantly since the mid-eighties, and Lima is still hosting over 70% of Peru’s industrial capacity. In 1985, half of Lima’s nearly seven million inhabitants lived in informal housing, and at least half of the country’s population was employed or underemployed in the informal sector. Along with the demographic changes, Peru experienced an increasing leadership crisis. This occurred when the longstanding power of the government (serving in a fragile balance between the traditional oligarchy on the one side and a more modern, urban elite on the other) came to an abrupt end in the 03 October 1968 military “revolution,” led by General Juan Velasco Alvarado. In the late 1960s, a large majority of indigenous highland people lived a marginal and impoverished existence and were deprived from the modern benefits of the national economy. The land reform decree of 24 June 1969 and its subsequent implementation destroyed the economic base of both the export elite and the “gamonales” (rural bosses) in the “sierra.” After more than a decade, the military, in public disfavour, returned to the barracks in July 1980, opening the way, once again, to the democratic process. The resumption of elections was reaffirmed in 1985 and again in 1990. “Re-democratisation” confronted many problems. The end of military rule left an enormous political gap that the parties, absent for twelve years and historically weak, were hard-pressed to fill. Peru’s long history of authoritarian and oligarchic rule, made effective democratic government difficult to accomplish. More serious, re-democratisation faced an increasingly grave threat from a deepening economic crisis that began in the mid-1960s. In 1985 wages approached mid-1960 levels. Finally, the process was also threatened in the 1980s by the “Shining Path” guerilla movement (“sendero luminoso”), Latin America’s most violent insurgency. President Alberto Fujimori‘s election in 1990 ushered in a decade that saw a dramatic turnaround in the economy and significant progress in curtailing guerilla activity. Nevertheless, the president’s increasing reliance on authoritarian measures and an economic slump in the late 1990s generated mounting dissatisfaction with his regime. Fujimori won re-election to a third term in April 2000, but international pressure and corruption scandals led to his ouster by Congress in November of that year. Valentin Paniagua (*1937; in office 2000-01), as the speaker of Congress, was chosen to lead a caretaker government with former UN Secretary General Javier Pérez de Cuellar as Prime Minister, overseeing new elections in the spring of 2001, which ushered in Alejandro Toledo as the new head of state and government. On 4 June 2006, in a dramatic runoff, Alan García Pérez (Peruvian Aprista Party/PAP) was once again elected President, defeating nationalist candidate Ollanta Humala. García’s inauguration speech of 28 July 2006 suggests that he has learned some hard lessons from his previous term in office (1985-1990). The Peruvian economy has become increasingly market-oriented, with major privatisation completed since 1990 in the mining, electricity, and telecommunications industries. Thanks to strong foreign investment and the co-operation between the Fujimori government and the International Monetary Fund (IMF) and World Bank, growth was strong in 1994-97 and inflation was brought under control. In 1998, El Niño’s impact on agriculture, the financial crisis in Asia, and instability in Brazilian markets undercut growth. And 1999 was another lean year for Peru, with the aftermath of El Niño and the Asian financial crisis working its way through the economy. Political instability resulting from the presidential election and Fujimori ‘s subsequent departure from office limited economic growth in 2000. Peru’s middle class is the most difficult to define. In the 1970’s, with the integration of modernisation, the middle class grew into its own, both in Lima and in provincial cities. This growth was due to the diversification of the economy and to the expansion of the Peruvian State, both as a purveyor of public services and as an entrepreneur. During this period, roads penetrating into the “sierra” and the Amazon basin started to link the hinterland with Lima and important coastal markets. Mass communication began to reach out to new audiences. Today, Lima, the capital has come to represent all that went rather wrong with Peruvian development. One city now concentrates most of country’s services and other resources, but they are grossly inadequate to sustain its 8 million inhabitants. 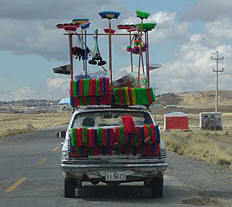 A striking feature of contemporary Peruvian society is the massive scale of the informal economy. The decay of the national economy in the 1967s and 1980s has led to an abundance of traditional market street trade and bartering at market stalls as an integral part of daily life. “Ambulantes” (street vendors) can be found on every corner selling a huge variety of goods. But despite decades of political upheaval and social unrest, Peru can now be seen to have entered a more stable phase in its history. An increasing level of governmental consistency since 2000 and and growing economic strength since 1990 has led to growing confidence from within. But the situation, until today, is paradox: the higher the growth rates of the economy and the more impressive the modernisation and expansion of the infrastructure, the more middle class and the lower the percentage of households below the poverty line (1950: approx. 60%, 1990: approx. 45%; 2015: approx. 25%) the lower the popularity of President Alejandro Toledo. On 04 June 2006, in a dramatic run-off, Alan García Pérez (Peruvian Aprista Party/PAP) was once again elected President, defeating nationalist candidate Ollanta Humala. García’s inauguration speech of 28 July 2006 suggests that he has learned some hard lessons from his previous term in office (1985-1990). – Wanted in Peru to face charges of corruption and human rights abuse, former President Fujimori remained in exile abroad. After travelling to Chile in November 2005, he was detained by Chilean authorities, and extradited to face criminal charges in Peru, in September 2007. On 09 October 2008, in the wake of a corruption scandal involving kickbacks in return for oil contracts, Peru’s entire cabinet tendered their resignations to President Garcia; Yehude Simon Munaro, governor of north-western Lambayeque Region, replaced Cabinet Chief Jorge del Castillo in the position of Prime Minister on 10 October 2008. – The scandal had previously forced out the mining minister and two other high-ranking energy officials, and implicated other prominent members of Garcia’s ruling APRA party. Background: A free trade agreement negotiated between Peru and the United States that came into effect in February 2009 required certain changes in law allowing access to the Amazon. The Congress of Peru granted the government authority to implement the required regulatory changes. Indigenous tribes insist that some of the new government regulations brought in by President Alan García in 2008 threaten the safety of their natural resources and would enable foreign companies to exploit them. Protests ensued in August 2008 and Congress repealed two laws and promised to examine and vote on others. When that didn’t happen, protests and blockades resumed in April 2009. On 05 June 2009, at least 31 people were killed in clashes between security forces and indigenous people on the “Devil’s Curve” jungle highway close to Bagua, over 1,000 kilometres north of Lima, as the security forces attempted to break down a road blockade. The deaths came about when police decided to break down a blockade of 5,000 protesters. Twenty-two of the dead were tribesmen and nine were members of the police force. The tribes accused the police of firing with helicopters on those protesting peacefully below, with Alberto Pizango, a self-appointed “indigenous leader”, telling journalists that the government was responsible for the massacre. Police said they had been fired upon initially and the President said the tribes had “fall[en] to a criminal level”. On 06 June 2009, a further nine police officers were killed at a petroleum facility belonging to a national oil company, Petroperú, which had been seized by the protesting indigenous tribes. Prime Minister Simon said the officers were killed as they tried to rescue 38 kidnapped police officers. García criticised the protesters, claiming they had behaved like terrorists and suggested that they may have been “incited by foreigners” (referring to Venezuelan President Hugo Chávez and in particular to Bolivian Presdident Evo Morales). Several police officers had been taken hostage, although 22 were freed and seven are still missing. In the week following the clashes, Congress suspended two of the offending government decrees. The indigenous protesters vowed to continue until the decrees were repealed and not just suspended. On 18 June 2009, Congress overturned two of the decrees, causing the protesters to halt their blockades. Prime Minister Yehude Simon negotiated the deal to overturn the two decrees mentioned above, and he resigned on 11 July 2009. Nomadic tribes which cross into the Americas during the last Ice Age (40,000 – 15,000 BC), when a combination of ice packs and low sea levels exposed a neck of solid “land” to span what’s now the Bering Strait, dividing the Asian Continent from Alaska. First evidence of human settlement in Peru. Cave dwellings in the Ayacucho Valley; stone artefacts in the Chilean Valley. Nomadic tribes, and more permanent settlement in fertile coastal areas. Cave paintings and fine stone tools. Introduction of cultivation and stable settlements. Early agricultural sites include Huaca Prieta in the Chicama Valley, Paracas and Kotosh. Formative Era and surge of the Chavín Cult, with great progress in ceramics and metallurgy. Temple complex at Chavín de Huántar, important sites too at Kotosh and Sechín. Technological advance marked above all in the Virú Valley – the Gallinazo culture – and at Paracas. Sites in the Virú Valley, at Paracas, and the growth of Tiahuanuco culture around Lake Titicaca. Classical Cultures emergent throughout the land. Mochica culture and Temples of the Sun and Moon near Trujillo; further Tiahuanuco development; Nazca lines and Cahuachi complex on the coast; Wilkawain temple; Huari complex; and Tantamayo ruins. The age of the great city builders. 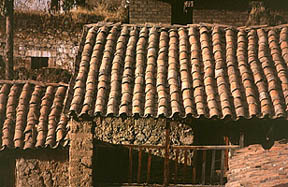 Well-preserved adobe settlements survive at Chan Chan (near Trujillo) and Cajamarquilla (Lima). Expansion of the Inca Empire from its bases around Cuzco, north into Ecuador and south into Chile. Inca sites survive throughout Peru, but the greatest are still around Cuzco/Sacsayhuaman and Machu Picchu above all. Inca Highway constructed from Colombia to Chile; parts still in existence. After having landed at Tumbes in May 1532, a small band of Spaniards led by Francisco Pizarro, totalling not more than 170 men, arrive at the Inca city of Cajamarca on 15 November 1532. After the decisive battle between the Spaniards and the Inca forces with Atahualpa (the Inca Emperor) prisoner, Pizarro is effectively in control of the Inca Empire. Under pressure from his worried captains, Pizarro brings Atahualpa to trial in July 1533, a mockery of justice in which he is given a “free choice”: to be burned alive as a pagan or strangled as a christian. The Spaniards baptise Atahualpa and then kill him on 26 July 1533. Foundation of Lima (18 January 1535). Colonial architecture draws heavily on Spanish influences, though native craftsmen also leave their mark. Church building above all – at Arequipa (Santa Catalina Convent) and around Cuzco. The Spanish city of Cuzco incorporates much Inca stonework. Meanwhile, the rebel Incas build new cities around Vilcabamba. Throughout colonial rule building follows European fashions, especially into Baroque (churches, mansions and a few public buildings). Introduction of the “encomienda” system. Francisco Pizarro assassinated in Cuzco on 26 June 1541. Arrival of Francisco Toledo in Peru, to become viceroy. Implementation of a programme of “reducciones” – the physical resettlement of Indians in new towns and villages. Hundreds of thousands of peasants, perhaps millions, are forced to move from remote hamlets into large conglomerations, or “reducciones” in convenient locations. Violent native protests against the enforcement of the “repartimiento” system, a buying/selling scheme most unfavourable for the native peasants. Last native upheaval against the Spanish colonial regime, led José Gabriel Condorcanqui (calling himself Tupac Amaru II). Within a year Tupac Amaru II has been captured and executed on 18 May 1781. The North American colonies gain their independence from Britain (1776); France being rocked by a people’s revolution (1789), and liberal ideas spreading everywhere. Inflammatory newspapers and periodicals appear in the streets of Lima, and discontent is expressed at all levels of society. Napoleon takes control of Spain. José de San Martín (1778 – 1850) proclaims Peruvian independence from the Spanish Crown on 28 July 1821 and becomes the first President. Spanish resistance to independence finally extinguished in the battles of Junín and Ayacucho in 1824. End of the Andean Confederation (encompassing Colombia, Venezuela, Ecuador, Peru and Bolivia). Beginning of the “guano”-boom under the presidency of Ramón Castilla (1797 – 1867; in office 1845-51 and 1855-62). A new moderate constitution approved; railway lines are built and the Amazon waterways are opened up. Sugar and cotton from coastal plantations becoming important export crops. Beginning of the construction of the high-altitude railway lines and other engineering projects. First exploitation of Amazonian rubber. An attempted military coup spontaneously crushed by a civilian mob, and Peru’s first civilian president – the “laissez-faire capitalist” Manuel Pardo (1834-78; in office 1872-76) – assumes power. “War of the Pacific” – Peru goes to war with Chile and gets defeated, basically a battle for the rich nitrate deposits located in Bolivian territory. Peru is forced to accept the cloistering of an independent Bolivia high up in the Andes, with no land link to the Pacific, and the even harder loss of the nitrate fields to Chile. Much modernisation in Lima (Presidential Palace etc), grandiose public buildings elsewhere. In 1895, forced resignation of President Andrés Avelino Cáceres (1836 – 1923; in office 1886-90 and 1894-95), replaced by Nicolás de Piérola (1839 – 1913; in office 1895-99). 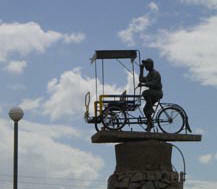 In the early years of the twentieth century, Peru is run by an oligarchic clan of big businessmen and great landowners. Fortunes are made in a wide range of exploitative enterprises, above all sugar along the coast, minerals from the mountains, and rubber from the jungle. Meanwhile, the situation of the ordinary peasant worsens dramatically. Beginning of the presidency of Augusto Leguia (1863 – 1932; in office 1908-12 and 1919-30), one of the most powerful oligarchs (ousted during his fourth term by a military coup in 1930). Massive urban growth in Lima from the 1930s onwards. Bloody popular rebellion in Trujillo led by the “American Popular Revolutionary Alliance” (APRA): execution of some sixty army officers by the insurgents and subsequent retaliation costing the lives of at least 1000 APRA members and their sympathisers. APRA declared illegal. President Luis Miguel Sánchez Cerro (1894 – 1933; in office 1930-31 and 1931-33) assassinated, former president Oscar Benavides (in office 1914-15, 1933-39) to complete Sánchez Cerro’s five-year term. Manuel Prado y Ugarteche (1889 – 1967; in office 1939-45 and 1956-62), a Lima banker from a prominent family and son of a former president, wins the presidency. Brief war with Ecuador on a border conflict. Peace negotiations with Ecuador in Rio de Janeiro. Peru’s ownership of most of the contested region is affirmed. In May 1945, shortly before the end of his term, President Manuel Prado y Ugarteche legalises the “American Popular Revolutionary Alliance” (APRA) that now re-emerges on the political scene after thirteen years underground. 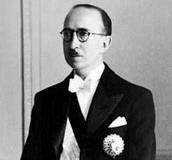 José Luis Bustamante y Rivero (1894 – 1989; in office 1945-48), a liberal and prominent international jurist, overwhelmingly elected president. Under pressure from the oligarchy, overthrew of Bustamante’s government in 1948 and installation of General Manuel Odría (1897 – 1974; in office 1948-50 and 1950-56), hero of the 1941 war with Ecuador,as presidentt. APRA leader Haya de la Torre (1895 – 1979) gets political asylum in the Embassy of Colombia in Lima (released in 1954). Accelerated population growth and beginning of massive migration from rural areas into Lima and other cities/towns. Conservative Manuel Prado y Ugarteche elected President for a second term. Organised shantytowns begin to grow around Lima. Haya de la Torre manages to defeat liberal conservative-candidate Fernando Belaúnde Terry by less than one percentage point in the 1962 elections. The Armed Forces annul the elections and install a military interim government, headed by General Ricardo Pérez Godoy. Fernando Belaúnde Terry (1912 – 2002; in office 1963-68 and 1980-85), in alliance with the Christian Democrats, defeats Haya de la Torre in the 1963 presidential elections. First agrarian reform law benefiting the landless and the poor for the first time in Peruvian history. Widespread activities of Castroite guerrilla movements in various regions of the country. Substantial devaluation of Peruvian currency against the US-Dollar. Dispute with the International Petroleum Company (IPC) over the La Brea y Pariñas oil fields. Growing public discontent and social unrest. 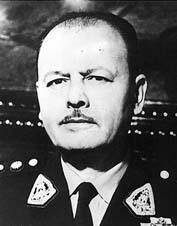 The armed forces, led by General Juan Velasco Alvarado (1910 – 77; in office 1968-75), overthrow the Belaúnde government on 03 October 1968. Promulgation of a radical agrarian reform law (“Ley de Reforma Agraria No. 17716″) of 24 June 1969 and beginning of drastic economic and social reform measures. General Velasco Alvarado replaced on 29 August 1975 by the more conservative General Francisco Morales Bermúdez Cerrutti (*1921; in office 1975-80). Elections for a Constituent Assembly empowered to rewrite the constitution. Fernando Belaúnde Terry elected president for the second time, for a term of five years.. Appearance of the Shining Path (“Sendero Luminoso”), a maoist guerrilla movement, led by Abimáel Guzmán Reynoso. Development of the jungle – timber trade, oil companies and settlers threaten traditional tribal life and ecology; construction of “Marginal Highway” into the central Amazon Basin resumed. APRA leader Alán García Pérez (*1949; in office 1985-90) wins elections. Beginning of an atmosphere of chaos and economic disorder, hyperinflation and political polarisation. Alberto Fujimori (*1938; in office 1990-95, 1995-2000, 2000) wins the second round of the presidential elections against renowned novelist Mario Vargas Llosa. Fujimori’s “auto-coup” (Congress suspended) and capture of Sendero’s leader Abimael Guzman in September 1992. Fujimori re-elected and his “Cambio 90-Nueva Mayoría” alliance gains majority in Congress. Peru resolves border conflict with Ecuador. Fujimori’s free-market policies cause a national strike. Fujimori re-elected for a third term in April 2000, defeating opposing candidate Alejandro Toledo Manrique and allegations of electoral fraud. Videos featuring the bribery of politicians, the military, the media and business leaders are leaked to the press, bringing down the government. Fujimori flees to Japan. Valentin Paniagua (*1937; in office 2000-01), as the speaker of Congress, chosen to lead an interim Government with former UN Secretary General Javier Pérez de Cuellar as Prime Minister, pending new presidential and legislative elections. Alejandro Toledo Manrique (*1946) (53.1%) elected president on 03 June 2001 after a runoff with former president Alán Garcia Pérez (46.9%). On 4 June 2006, in a dramatic runoff, Alan García Pérez (Peruvian Aprista Party/PAP) (52.62%) was once again elected President, defeating nationalist candidate Ollanta Humala (47.47%). Wanted in Peru to face charges of corruption and human rights abuse, former President Fujimori remained in exile abroad. After travelling to Chile in November 2005, he was detained by Chilean authorities, and extradited to face criminal charges in Peru, in September 2007. On 11 December 2007, in a court case separate from the pending human rights charges, Fujimori was convicted of having ordered an illegal search and seizure, and sentenced to six years in prison. On 09 October, in the wake of a corruption scandal involving kickbacks in return for oil contracts, Peru’s entire cabinet tendered their resignations to President Garcia. Long-time politician Yehude Simon, Governor of north-western Lambayeque Region, replacing Cabinet Chief Jorge del Castillo in the position of Prime Minister. Subsequent to the Battle at “Devil’s Curve” and the 06 June 2009 Massacre near Bagua, Prime Minister Yehude Simon resigns on 11 July 2009. He is replaced in office by Javier Velásquez Quesquén. Presidential Elections. Since no candidate received more than half of all valid votes, a second round was necessary to determine the winner. This second round took place on 05 June 2011, and Ollanta Humala (51.449%) defeated Keiko Fujimori (48.551%). Parliamentary Election results (10 April 2016): Fuerza Popular / Popular Force (Keiko Fujimori) 36.3%, 73 seats. – Peruanos Por el Kambio / Peruvians for Change (Pedro Pablo Kuczynski) 16.5%, 17 seats. – Frente Amplio por Justicia, Vida y Libertad / The Broad Front for Justice, Life and Liberty (Verónika Mendoza) 13.9%, 20 seats. – Alianza para el Progreso del Perú / Alliance for the Progress of Peru (César Acuña Peralta) 9.2%, 9 seats. – Alianza Popular / Popular Alliance (Alan García) 8.3%, 5 seats. – Acción Popular / Popular Action (Alfredo Barnechea) 7.2%, 5 seats. Presidential Election results (10 April 2016) (turnout: 81.8%). Keiko Fujimori 39.85%. – Pedro Pablo Kuczynski 21.00%. – Verónika Mendoza 18.82%. – Alfredo Barnechea 6.97%. – Alan García 5.82%. Since no candidate received more than half of all valid votes, a second round took place on 4 June 2016 (turnout: 80.1%). Pedro Pablo Kuczynski (50.12%) narrowly defeated Keiko Fujimori (49.88%). Kuczynski was sworn in on 28 July 2016 as President of Peru, serving a term of five years. On 24 December 2017, three days after surviving an impeachment vote, Kuczynski pardoned former Peruvian President Alberto Fujimori. After further scandals broke out surrounding Kuczynski, a second impeachment vote was to be held on 22 March 2018. Two days before the vote, Kuczynski stated that he would not resign and decided to face the impeachment process for a second time. The next day on 21 March 2018, a video was released of Kuczynski allies, including his lawyer and Kenji Fujimori, attempting to buy the vote against impeachment from one official. Following the release of the video, Kuczynski presented himself before congress and officially submitted his resignation to the Council of Ministers. On 23 March 2018, Vice President Martín Vizcarra was sworn into office as the 67th President of Peru. Western coastal plain (“costa”), high and rugged Andes in center (“sierra”), eastern lowland jungle of Amazon Basin (“selva”). Approximately 65% of the population resides in the cities situated in the desert coastal belt in the west (“Costa”), with a strong focus on the capital city of Lima. The Andean highlands, or “Sierra”, which is strongly identified with the country’s Amerindian population, contains roughly 30% of the overall population; the eastern slopes of the Andes (“Montaña” or “Ceja de Sekva” or “Selva Alta”) and adjoining rain-forest (“Selva”/Amazon Basin), are sparsely populate. Languages Spanish (official): 84.1%. Quechua (official): 13.0%. Aymara (official): 1.7%. Other: 1.2%. Internet Users 52.2% of the population (2017 estimate). 24 departments (“Departamentos”; singular: “Departamento”) and one constitutional province (“provincia constitucional”)*: Amazonas, Ancash, Apurimac, Arequipa, Ayacucho, Cajamarca, Callao*, Cuzco, Huancavelica, Huanuco, Ica, Junin, La Libertad, Lambayeque, Lima, Loreto, Madre de Dios, Moquegua, Pasco, Piura, Puno, San Martín, Tacna, Tumbes, Ucayali. Note: Some reports indicate that the 24 departments and one constitutional province are now being referred to as “regions.” Peru is implementing a decentralisation program whereby these 25 administrative divisions will begin to exercise greater governmental authority over their territories. In November 2002, voters chose their new regional presidents and other regional leaders; the authority that the regional government will exercise has not yet been clearly defined, but it will be devolved to the regions over the course of several years. Legal System Based on civil law system; has not accepted compulsory International Court of Justice (ICJ, The Hague – Netherlands) jurisdiction. Suffrage Universal and mandatory for citizens 18 to 70. 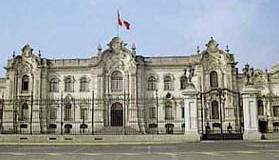 Unicameral Congress of the Republic of Peru (“Congreso de la República del Perú”); 130 seats; members are elected by popular vote to serve five-year terms. President of Peru / Presidente Constitucional de la República del Perú: Pedro Pablo Kuczynski (since 28 July 2016). Note: the President is both the Chief of State and Head of Government; additionally two vice presidents are provided for by the Constitution. – Pedro Pablo Kuczynski (nickname: PPK) was born in 1938 in Lima (Peru), son of Maxime Hans Kuczynski, a medical doctor of German/Polish origin who left Germany in 1933 because of his Jewish roots, and Madeleine Godard, who was born in the French speaking part of Switzerland. Kuczynski is a cousin of the renowned French-Swiss film director Jean-Luc Godard (*1930) – he is fluent in four languages and a gifted amateur piano, violin and flute player. Prime Minister (“Premier” – Head of the Council of Ministers: Mercedes Aráoz (since 17 September 2016). Note: the Prime Minister does not exercise executive power; this power is in the hands of the President. Cabinet: Council of Ministers appointed by the President. Supreme Court of Justice (“Corte Suprema de Justicia”); judges are appointed by the National Council of the Judiciary. Peru’s economy reflects its varied geography – an arid coastal region, the Andes further inland, and tropical lands bordering Colombia and Brazil. Abundant mineral resources are found in the mountainous areas, and Peru’s coastal waters provide excellent fishing grounds. The Peruvian economy grew by more than 4% per year during the period 2002-06, with a stable exchange rate and low inflation. Growth jumped to 9% per year in 2007 and 2008, driven by higher world prices for minerals and metals and the government’s aggressive trade liberalization strategies. Peru’s rapid expansion has helped to reduce the national poverty rate by about 15% since 2002, though underemployment and inflation remain comparatively high. Despite Peru’s strong macroeconomic performance, over-dependence on minerals and metals subjects the economy to fluctuations in world prices, and poor infrastructure precludes the spread of growth to Peru’s non-coastal areas. Not all Peruvians therefore have shared in the benefits of growth. President García’s pursuit of sound trade and macroeconomic policies has cost him political support since his election. Nevertheless, he remains committed to Peru’s free-trade path. The United States and Peru completed negotiations on the implementation of the US-Peru Trade Promotion Agreement (PTPA), and the agreement entered into force February 1, 2009, opening the way to greater trade and investment between the two economies. Copper, silver, gold, petroleum, timber, fish, iron ore, coal, phosphate, potash, hydropower. Asparagus, tropical fruits, avocados, coffee, cotton, sugarcane, potatoes, corn, plantains, grapes, coca; poultry, beef, dairy products, fish, guinea pigs. Mining and refining of minerals steel, metal fabrication petroleum extraction and refining, natural gas, fishing and fish processing, textiles, clothing, food processing. Copper, gold, silver, zinc, crude petroleum and petroleum products, asparagus, tropical fruits, avocados, coffee, cotton, potatoes, textiles, guinea pigs. United States 24.1%, China 9.6%, Switzerland 7.1%, Canada 6.8%, Chile 6%, Japan 5.2% (2006). Petroleum and petroleum products, plastics, machinery, vehicles, iron and steel, wheat, paper. United States 16.5%, China 10.3%, Brazil 10.3%, Ecuador 7.2%, Colombia 6.1%, Chile 5.8%, Argentina 4.8%, Mexico 4% (2006). Earthquakes, tsunamis, flooding, landslides, mild volcanic activity. Deforestation (some the result of illegal logging); overgrazing of the slopes of the “costa” and “sierra” leading to soil erosion; desertification; air pollution in Lima; pollution of rivers and coastal waters from municipal and mining wastes. Party to (signed and ratified): Antarctic-Environmental Protocol, Antarctic-Marine Living Resources, Antarctic Treaty, Biodiversity, Climate Change, Climate Change-Kyoto Protocol, Desertification, Endangered Species, Hazardous Wastes, Marine Dumping, Ozone Layer Protection, Ship Pollution, Tropical Timber 83, Tropical Timber 94, Wetlands, Whaling.